Last week, I introduced a story structure that you can use to tell all kinds of stories. Over the next few weeks, I’m going to take a closer look at the different parts of that diagram. Together, this series of articles will give you a strong foundation for any story, so I hope you’ll stick with me. Today we are going to start with the hero. You can download a free Who is your Hero worksheet to guide you through some of the work described on this page! When you start your story work, I assume you know which story you want to tell. This might be a personal story, maybe an anecdote from your personal or professional life. Maybe you have to give a presentation and want to incorporate story into your talk. Perhaps you are looking for work and want to flesh out a professional story you can use in different settings. This will make more sense and be more useful for you if you can start thinking about your own story in addition to reading about the examples I use here. The first thing you’re going to do when you plan your story is to decide who the hero is. This choice will shape your story, so think about it carefully. The hero is the character the audience will relate to, the one they will identify with. Your audience will experience the story through the hero’s perspective. So, your choice of hero will determine through whose perspective the story is told. A great example of how this works is the series of books written by Gregory Macguire starting with Wicked in which he retells stories from a different character’s perspective. In Confessions of an Ugly Step-Sister, Macguire retells the story of Cinderella through the perspective of the step sister. A different story emerges. The same would be true for the Harry Potter series told through the eyes of Voldemort. But the shifts don’t have to be radical, either. Imagine Harry Potter told from Hermione’s perspective or Snape’s. All these alternatives would produce different stories, even if the series of events remained more or less the same. This choice takes on a different dimension if you’re transforming academic research into a story. 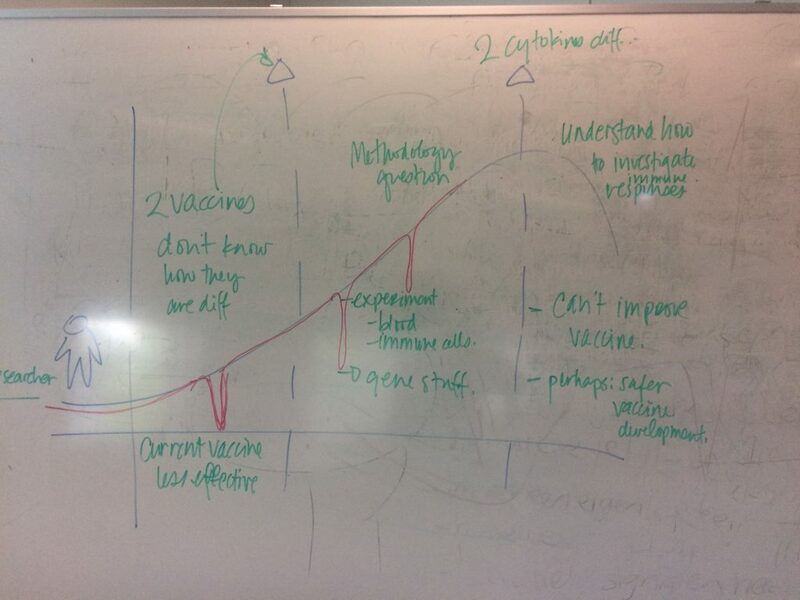 One set of students I worked with wanted to tell a story about a vaccine trial. When they chose their hero, their options included the researcher, the method, or the vaccine. It depends here on which perspective they want to talk about, and that in turn can depend heavily on the audience. Entrepreneurs face a similar challenge if they want to talk about a new product or service. 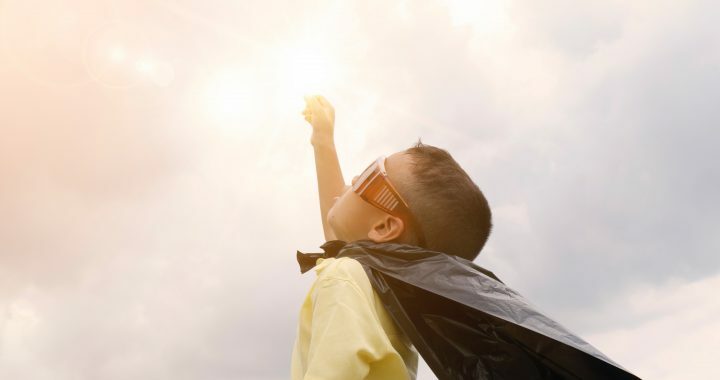 Is the customer the hero? The product? The entrepreneur? A particular technology? 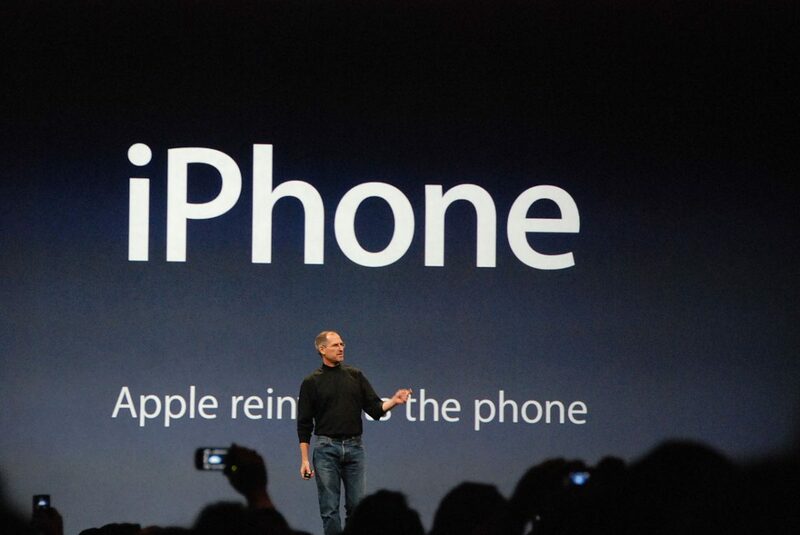 Steve Job’s famous iPhone reveal is a great example of making the product the hero. Even the imagery reflected the new product’s exalted status. Steve Jobs introduces the iPhone. Who’s the hero here? Once you’ve selected the hero for your story, it is important to remain consistent throughout the story. That means that you stick with that hero as the main perspective in the story. In order to do that, you have to keep two things in mind; what does my hero know and what kind of hero is my hero? Knowledge determines how your hero moves through the story and the kinds of choices they make. Think about Harry Potter when he first enters Diagon Alley. He may be the hero of the story, but his wonder and awe becomes the audience’s wonder and awe. Later in the story, Harry and Ron leave the group to look for Hermione when they know that there is danger and that Hermione isn’t with the group. Character is equally important for influencing these moments and how the hero acts in these moments tells the audience a lot about the hero’s character. When Hagrid invites Harry to leave the shack on the rock island and leave for Hogwarts, Harry looks back for just a moment. He wants to go but has just enough loyalty to the Dursley family that he pauses before he flees. When you change perspectives, the story gets watered down, and you can lose your audience. Trying to understand complex story structure requires the audience to use their energy and that means they step out of the story. We want to keep our audience in the story, so for now, we stick with one hero and one hero’s perspective. Now, just because this character is the hero in your story, that doesn’t mean they are perfect or ideal. All heroes are not the same. Quite the contrary. Some heroes are active and make things happen in their story. Let’s take some more examples from film. Since Harry Potter starts his films as an infant, I’ve got a couple new examples for you. Katniss Everdeen in The Hunger Games is an example of an active hero. In the first five minutes of the film, she comforts her sister, threatens to eat the cat, crosses the District Boundary barbed wire fence, and retrieves her hidden bow and arrow to hunt. Her choices put her in danger, test limits, and show the audience that they can depend on Katniss to make things happen. Jeff Lebowski, known as The Dude, in The Big Lebowski, is a passive hero. In the first five minutes of the film the narrator introduces him as possibly the laziest man in the world. We meet Lebowski in a grocery store. He’s wearing a white undershirt, shorts, house slippers, an open brown terrycloth robe, and sunglasses. When he gets home, he’s attacked by two men, one of whom pees on his shabby oriental carpet. How does Lebowski respond? From his position on the closed toilet seat with his sunglasses back on, he says “No, don’t… not on the rug.” The Dude is a passive character in a story. He doesn’t make things happen, he reacts to things that happen to him. Whether your hero is active or passive, they will need some kind of motivation to go through the challenges the movie will present. This may be a concrete goal, or part of the hero’s history. Despite their differences, Katniss and Lebowski are both fighting for justice. Their desire to see things done right push them through scene after scene as the story progresses. Another thing to keep in mind is that the hero must undergo some kind of transformation. The hero is not the same person in the end of the story as they are in the beginning of the story. Either they have learned something or changed in character and are put back into the same situation or their situation has changed. Harry Potter gains knowledge about himself and his history that completely transform his vision of himself and the world. He signals this at the end of the movie. As they are getting on the Hogwarts express, Hermione says that it feels strange to be going home. Harry says, “I’m not going home. Not really.” Harry has found his home at Hogwarts. Your job as a story teller is to tell your audience how the hero experiences this change, using both action and character to signal these changes. Choosing and defining the character of your hero is the first step in building your story. Are you ready to start working on your hero? Download my free Who’s your Hero Worksheet and put your ideas on paper today! I’ll be answering your hero and other story questions this afternoon at 15:00 CET (that’s 9:00 EST) on Facebook. If you miss it, don’t worry. You can still watch the playback or send me questions to answer next week! Posted in Story Structure and tagged Hero, storytelling resources, structure, worksheet.